Home » Posts » Dentistry » orthodontics » Orthodontic treatment: Does it improve quality of life for patients? 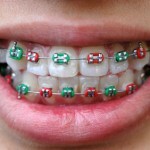 Orthodontic treatment: Does it improve quality of life for patients? A number of potential health benefits are thought to derive from orthodontic treatment and psychosocial benefit is one of these. Although, there is still some debate about this and other benefits such as improvement in dental health. The aim of this review was to synthesize the evidence on the impact of malocclusion and its associated treatment on people’s quality of life using studies that used the OHIP-14 questionnaire among the individuals of 15 years of age and above. Searches were conducted in Medline/PubMed and Embase. Studies in patients age 15 and above that used either a control group or before and after design conducted in patients requiring orthodontic treatment or orthognathic surgery that assess the outcomes using the Oral Health Impact Profile (OHIP) 14 were considered. Only studies in English were included. Two reviewers independently elected, extracted data and quality assessed the studies. 25 studies were included, 11 compared groups with and without malocclusion/orthodontic treatment need (independent groups design; 10 compared the same individuals before and after treatment ( pre-post) ; 4 compared an orthodontically treated group with an independent group requiring treatment (treated- untreated groups design). For the pre-post design studies 4 studies contributed to a meta-analysis; the standardized mean difference (SMD) was 1.29 (95% CI: 0.67 to 1.92), ie the OHIP 14 decreased. meta-analysis of 3 studies using the independent group design found SMD= 0.84 (95% CI: 0.25 to 1.43). i.e those without malocclusion had lower OHIP scores. This meta-analysis revealed that OHIP-14 scores were significantly lower after receiving treatment for malocclusion and in individuals without malocclusion/orthodontic treatment need compared to those with such condition (independent groups). The search strategy for this review only included two databases and was restricted to English language studies so as the authors note there is a potential language bias. While the authors identified 25 studies only 7 contributed to the meta-analysis and there is no discussion of the findings from the other studies included. Liu et al had previously reported a systematic review in 2009 that looked at orthodontic treatment need and quality of life. They included 23 studies concluding that the data suggested a modest association between malocclusion orthodontic treatment and quality of life. Earlier this year we also blogged about a review by Zhou et al (Dental Elf -12th June -2014) that looked at the impact of orthodontic treatment on quality of life, that review included 11 studies again suggesting a modest association between orthodontic treatment and quality of life. Andiappan M, Gao W, Bernabé E, Kandala NB, Donaldson AN. Malocclusion, orthodontic treatment, and the Oral Health Impact Profile (OHIP-14) Systematic review and meta-analysis. Angle Orthod. 2014 Aug 26. [Epub ahead of print] PubMed PMID: 25157973.